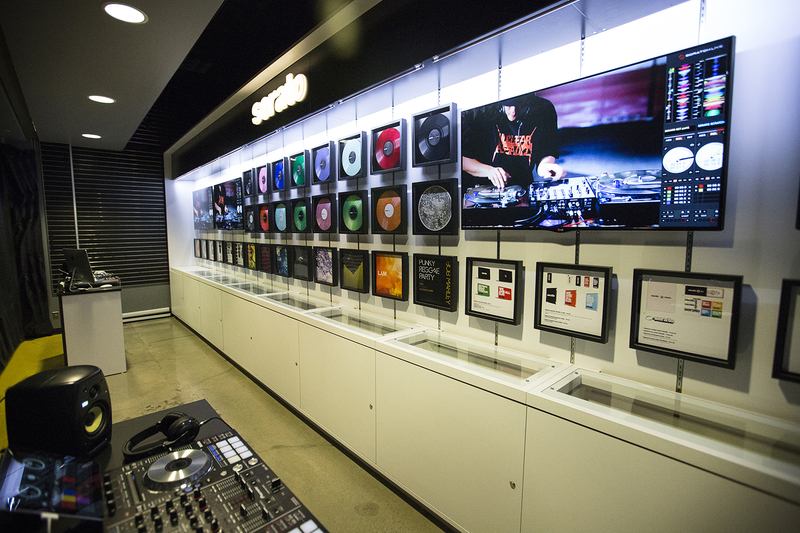 Shown is the new 2,500-square-foot Serato Digital Music Experience wing, located in Guitar Center’s Brooklyn, NY store. Photo by Ryan Hunter, Guitar Center. © 2013. Pictured L-R: Biz Markie and DJ Jazzy Joyce. Photo by Ryan Hunter, Guitar Center. © 2013. Guitar Center has partnered with global Digital Music technology brand Serato to open exclusive new 2,500 square foot in-store space at Brooklyn, NY location. 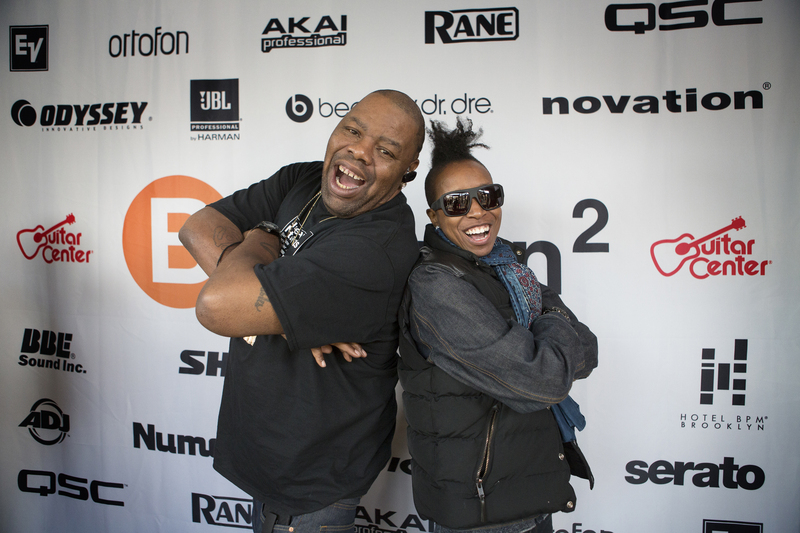 Rap & Hip-Hop legend Biz Markie hosted the red-carpet launch event and met with fans and customers. Event also featured live radio broadcast and a surprise list of legendary hip-hop DJ’s who performed, signed autographs and connected with media via Facebook. (October 30, 2013 – Brooklyn, NY) –On Thursday, October 24, 2013, the Guitar Center Brooklyn store was the place to be as they unveiled their new world-class addition to the store, known as the Serato Digital Music Experience. Created in association with Serato, the new wing offers a permanent home for DJ’s and aspiring music producers to demo and buy the latest products in Serato’s product line. 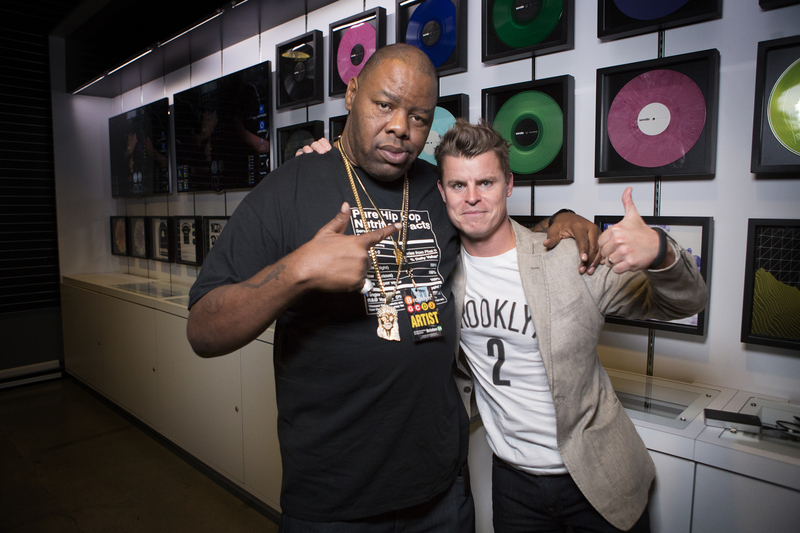 This 2,500-square-foot section of the store was officially launched with a special all-day red-carpet event, hosted by hip-hop legend Biz Markie and open to the public. The event featured leading figures from Brooklyn’s hip-hop and EDM communities, Public Enemy’s Keith Shocklee, DJ Cash Money, Jazzy Joyce, EPMD’s DJ Scratch and Grand Wizard Theodore, several of whom also performed live. Also in attendance were representatives from manufacturer sponsors as well as leading journalists from the music industry. The new addition coincides with the expansion of Guitar Center’s hugely popular Music Mentor program (offering customers free lessons and instruction for top DJ and Digital Music products). Event sponsors included ADJ, AKAI Professional, BBE Sound Inc., Beats by Dr. Dre, DMC, EV, Hotel BPM, JBL® Professional, Novation, Numark, Odyssey, Ortofon, QSC, Pioneer, Rane and Shure. Photo Caption 1: Shown is the new 2,500-square-foot Serato Digital Music Experience wing, located in Guitar Center’s Brooklyn, NY store. Photo by Ryan Hunter, Guitar Center. © 2013. Photo Caption 3: Pictured L-R: Biz Markie and DJ Jazzy Joyce. Photo by Ryan Hunter, Guitar Center. © 2013. Guitar Center is the world’s largest retailer of guitars, amplifiers, drums, keyboards and pro-audio and recording equipment. Our retail store subsidiary presently operates more than 250 Guitar Center stores across the U.S. We are also the largest direct response retailer of musical instruments in the United States through our wholly owned subsidiary, Musician's Friend, Inc., and its catalog and Web site, www.musiciansfriend.com. In addition, our Music & Arts division operates more than 100 stores specializing in band instruments for sale and rental, serving teachers, band directors, college professors and students. More information on Guitar Center can be found by visiting the Company's Web site at www.guitarcenter.com. Guitar Center’s musicianship programs include the award winning music television series Guitar Center Sessions, the weekly radio show Connections Made By Guitar Center, and the acclaimed podcast series At: Guitar Center with Nic Harcourt as well as various competition based programs such as Guitar Center Presents Your Next Record, Guitar Center Singer-Songwriter, Master Satriani, Guitar Center On-Stage and Guitar Center’s Battle of the Blues. Guitar Center’s Music Mentor program is a series of free workshops and lessons held in-store every Wednesday and Saturday at all Guitar Centers and online on Guitarcenter.com. From group ukulele lessons to home recording techniques, there’s something for everyone. One of the greatest aspects of the program are classes that help beginners get started and encourage their development as musicians. Music Mentor also offers customers insight on the latest ways of creating music, including an upcoming course on music creation utilizing Apple’s iPad. Since its inception in 2012, over 120,000 people have attended Music Mentor classes at Guitar Center.